London is truly one of the world&apos;s greatest cities, and you owe it to yourself to spend at least a few days exploring its streets. London&apos;s landmarks include the Westminster Abbey and Buckingham Palace amongst others, but people also come to glimpse the royals and stop by hot galleries, to take in theater and trendy shops, to sample tea and scones or cutting-edge cuisine. When you need a break from the action, pop into a pub or relax in one of the city&apos;s many parks. Blow through the city on a double-decker bus, and take a pinch-me-I’m-in-London walk through the West End. Cruise the Thames River, and take a spin on the London Eye. Enjoy Shakespeare in a replica of the Globe Theatre and marvel at a glitzy, fun musical at a modern-day theater. Hostel One Camden is a hostel designed, run and loved by backpackers for backpackers! Even though it is part of a chain, each of their hostels are unique and aim to offer the most comfortable and enjoyable experience to each guest, with great atmosphere, spacious accommodation and the way to any traveller’s heart: free dinners! Join them for delicious daily homemade food, perfect to meet fellow travellers and start the night right! Located in the &apos;hip&apos; & &apos;trendy&apos; Camden district, at a walking distance to Camden Market and the neighborhood’s buzzing nightlife, they are also next to the super efficient London Underground, making each and every corner of the city easily accessible. It really is the perfect place to call home whilst you explore the magical city of London! At Hostel One Camden, you will get free WiFi, large private lockers, soft towels and 24h reception and security. Choose between dorms of 4, 6 or 12 beds and make the most of the hostel&apos;s facilities including a laundry service at an extra cost, a fully equipped kitchen accessible 24/7 and a tours and travel desk. Explore London and see some of the city&apos;s hidden gems that most tourists miss with the hostel&apos;s free day activities or join them for a few traditional pub games before they take you around the fashionable, hip neighborhood of Camden. Enjoy traditional British drinks and take part in Hostel One Camden&apos;s weekly Pool, Darts and Foosball competitions! YHA London Oxford Street is all about location. As the name suggests, this hostel is just off Oxford Street in central Soho, a lively area of cafes, bars and shopping. This colourful hostel is frequently praised by Hostelworld guests for their clean and spacious rooms which include an individual light and power-point at each bunk bed. This hostel is centred between three of London’s most popular tube stations, Oxford Circus, Tottenham Court Road and Piccadilly Circus. A quiet hideaway from the bustle of the busiest street in the world, YHA Oxford Street allows you to relax while having this fabulous city at your fingertips. They have a variety of rooms available, from double, triple and quadruple private rooms with shared bathrooms, to female or male dorms for 4 people, also with shared bathrooms. A delicious breakfast is available for £4.99 every morning and free Wi-Fi is available to all guests in communal areas. Towels are available to rent or buy from the reception, as are padlocks and travel adapters. 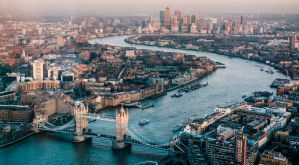 The establishment sells discounted and fast track entrance tickets to some of London&apos;s most famous sights and best kept secrets, including the London Eye, Madame Tussauds, The Tower of London, Walking tours, Bike tours, boat trips and many, many more. Plus, every penny made at YHA goes directly back in their charity &apos;Breaks for Kids&apos; which makes it possible for children from financially disadvantaged backgrounds to take part in school or community group breaks away! The hostel also organizes fun stuff for you to do nearly every day of the week! Such as Free Walking tours, top rated Pub Crawls, Group trips to famous West End Shows, Jet boating on the Thames, Burger nights, Sunday Roasts and movie nights. It&apos;s a fantastic way to meet other travellers and really make the most of your time in London! With the British Museum literally on its doorstep, it is impossible to beat this hostel&apos;s location! Situated in the very heart of Central London you are a short walk from iconic attractions like Piccadilly Circus, Trafalgar Square and Covent Garden. It doesn&apos;t matter if you are shopping down the legendary Oxford Street, watching a play in Leicester Square&apos;s world famous theatre district, having dinner in ChinaTown, drinks in Soho, or partying in the West End you are always a short walk home to a nice and quiet street in an amazing neighbourhood! At this hostel you will have full access to a free and fast WiFi throughout the building as well as free computer access, 24-hour reception for anything you may need including late check-in and early check-out, CCTV security monitoring, free security lockers for your valuables, free luggage storage available before check-in and after checkout on the same day. Laundry facilities are also available from 8am to 8pm and hair dryers as well as ironing facilities are free to use. An all you can eat breakfast for only £1.00, which goes to charity, is also offered every morning. Reviewers have praised this hostel’s ‘awesome, very friendly staff’ who offer ‘excellent service for the value’ and often say that there’s ‘always something going on’ in this ‘very chilled out’ hostel with a ‘relaxed and hippie’ atmosphere. Wonderful fully equipped kitchens with large fridges available for food and drinks storage as well as a dining room and common area to enjoy a meal or meet fellow travellers and a beautiful lounge area with comfy sofas and large screen TV are part of the hostel. Choose from twin private rooms or mixed dorms for 4 to 16 people and female dorms of 4 people. At Astor Museum Inn, you will also get free city maps, tourist information, walking tours and advice on local attractions and transport, daily events organized for guests, discounts at local restaurants and coffee shops, free printing facilities, towel hire for £1, padlocks and adapters free of charge with a £5 deposit and clean, crisp linens on your bed ready to sleep on! YHA London St Pancras has friendly reception and bar staff, clean rooms and a lounge which is really comfortable to hang around. The hostel is near King’s Cross St Pancras station, making the location convenient for trains from Heathrow and Gatwick airports. Opposite St Pancras International station and within easy reach of London’s top tourist attractions, this is an exciting and convenient base for anyone exploring the city. Across the road from St Pancras station, home of Eurostar, and minutes from Euston and Kings Cross, this location is an ideal mid-trip stopover. Families will love its convenient location for Camden’s vibrant markets, London Zoo, the British Library and British Museum. The hostel has private ensuite rooms for 2, 4, 5 and 6 people as well as twin private rooms with shared bathrooms. Dorms are only male or female and have 6 beds. Visit the hostel&apos;s licensed cafe/bar for a city-style breakfast, a light snack or a full meal. YHA London St Pancras has no self-catering facilities and is not equipped for group bookings. Contact YHA London Thameside or YHA London Holland Park for group reservations. The establishment sells discounted and fast track entrance tickets to some of London&apos;s most famous sights and best kept secrets, including the London Eye, Madame Tussauds, The Tower of London, Walking tours, Bike tours, boat trips and many, many more. Plus, every penny made at YHA goes directly back into their charity &apos;Breaks for Kids&apos; which makes it possible for children from financially disadvantaged backgrounds to take part in school or community group breaks away. 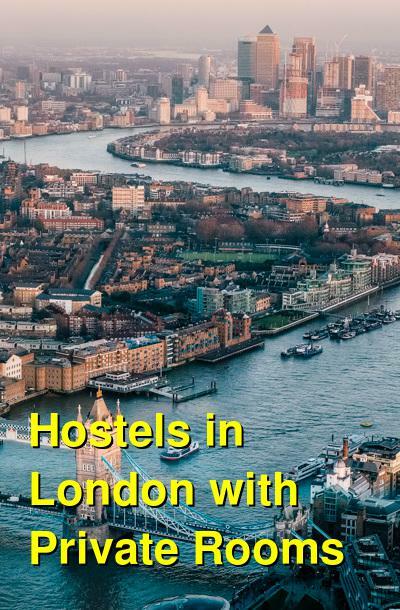 The hostel organizes fun stuff for you to do nearly every day of the week, such as Free Walking tours, top rated Pub Crawls, Group trips to famous West End Shows, Jet boating on the Thames, Burger nights, Sunday Roasts and movie nights. It&apos;s a fantastic way to meet other travellers and really make the most of your time in London!